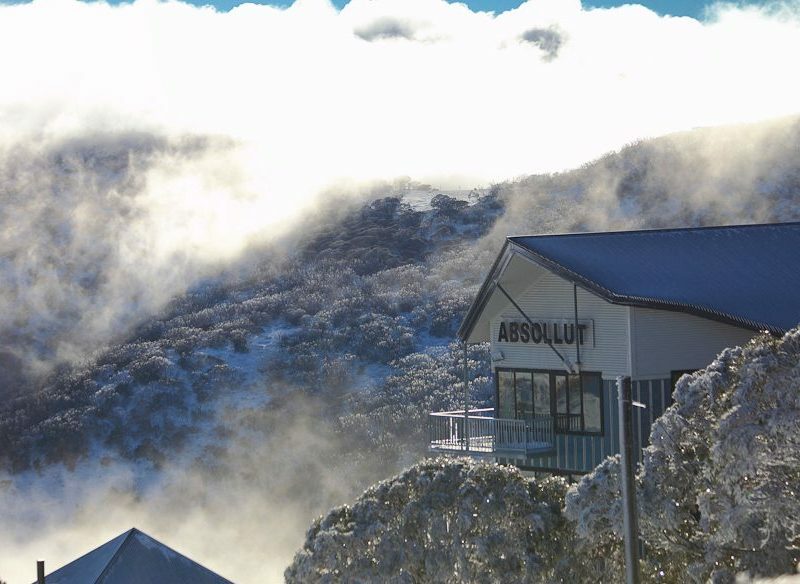 Mt Hotham is probably Australia’s best resort for advanced riders needing an adrenaline shot. The village itself doesn’t quite pull off the ambiance of some others, but it has a quirky inverted personality because the village sits on top of the mountain, meaning sublime views from your accommodation. Hotham benefits from its altitude and, counter-intuitively, its distance from Melbourne; think more snow and shorter lift lines. It’s chock-full of deep, steep gullies, with around 40 per cent of the mountain suitable for experts; although beginners aren’t given the cold shoulder. The jewel for blue and black chasers is the Heavenly Valley run. Most of Hotham’s accommodation is close to the Great Alpine Road and easy to access. Stand-alone, all-the-trimmings options abound in Hotham Heights, including the quirkily furnished Blowhard Chalet split over 10 levels with its own theatre room, while the two-bedroom Absollut Apartments are as about as good as you can expect here, 100 metres from the lift. The spectacular panorama from Hotham Heights Chalets. In Hotham Central, White Crystal apartments and Zirky’s are solid multi-roomed choices close to retail and bar therapy. Around 10 kilometres down the road (by shuttle) Dinner Plain provides a village full of possibilities, including Peppers Rundells Alpine Lodge, scores of chalets and restaurants. Yama Kitchen & Bar is Hotham’s hot ticket, a collaboration between Michael Ryan’s two-hat Provenance Restaurant, and Bright’s Tani Eat & Drink. Think Japanese-influenced share dishes and snacks (kimchi and cheese jaffle). Your après migration may also lead you to Swindlers and Zirky’s for wine and/or schnapps. For recuperation, there’s Onsen Retreat and Spa in Dinner Plain. Mt Hotham is a 4.5-hour drive from Melbourne via Bright. HothamBus provides coach services from Melbourne, Sydney and Adelaide. Buy your lift pass online 14 days in advance for a discount. Little-Known Fact: Order a helicopter transfer to Falls Creek and be skiing (using the same lift pass) in minutes.